Stairwells account for about 2% of multi-story commercial building floor space , with an average of one light fixture for each 58 sq.ft. of stairwell, according to the International Facility Management Association. Although the average stairwell is occupied infrequently and for short periods of time (only 3-5% of the average day), many building codes require constant illumination for safety. Stairwell LED lighting retrofits provide building owners huge energy savings and rapid ROI, especially when paired with energy-saving controls, which is Energy Efficiency Pros standard practice to ensure that we are able to meet evolving commercial building energy code requirements. The Life Safety Code (NFPA 101) requires at least 10 foot candles of light on the stair tread while in use (Section 7.8.1.3). The use of automatic motion sensors is recognized as long as they provide fail-safe operation, turn the lights on upon occupancy, and keep the lights ON for at least 15 minutes after the space becomes unoccupied (Section 7.8.1.2.2). Energy Efficiency Pros offers wall or ceiling mounted stairwell LED light fixtures with a dimming or switching controller, allowing the greatest energy savings to be captured. The fixture operates at a constant low light level (energy-saving mode) and when the occupancy sensor detects that a person has entered the space, it raises the light level to code-compliant full brightness (occupied mode). 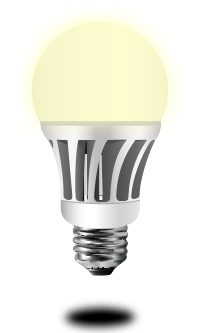 Some products provide complete shutoff capability for applications where lighting codes allow it. The result is up to 90% energy savings. 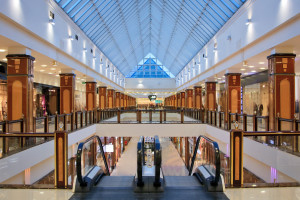 The energy savings may have two components: First, the existing fixture is replaced with a more-efficient LED fixture. Second, the occupancy sensor ensures the lights maintain a lower light level during the majority of the time the stairwell is unoccupied. Adjustable time delay and emergency battery backup options are also available.